HOUSTON -- A high speed pursuit in Harris County, Texas came to an end Monday afternoon at a home. Residents of the home were evacuated, even carrying out a pet dog, before the suspect was taken into custody. Deputies say Nemesio Magofna was found hiding under a mattress in the garage of the home. Magofna, 41, led authorities on a dangerous high speed chase for close to 45 minutes before pulling into the driveway of the home. It's not known what connection to the home there may be. Magofna, who was driving a silver or gray colored pickup, was wanted for auto theft, and was believed to be armed. 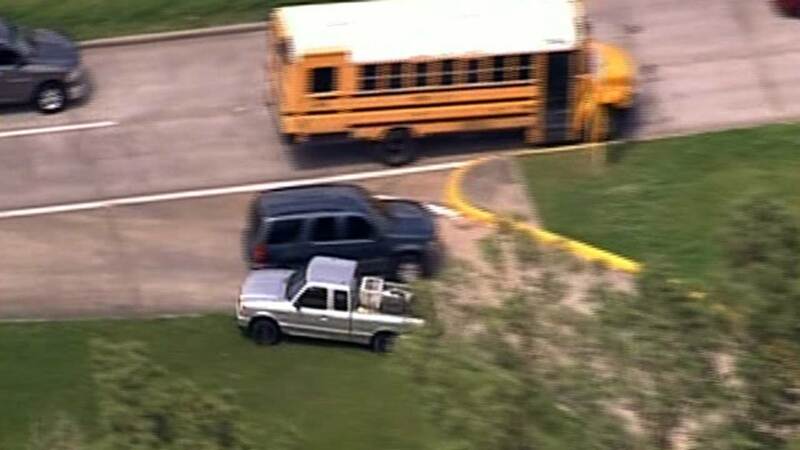 PHOTOS: High speed chase in NW Harris Co.
At one point, the driver went the wrong way, directly into traffic, narrowly missing several school buses. The driver evaded deputies at very high rates of speed, often going in and out of residential areas. He once drove into a grassy median in order to avoid a long line of school buses. 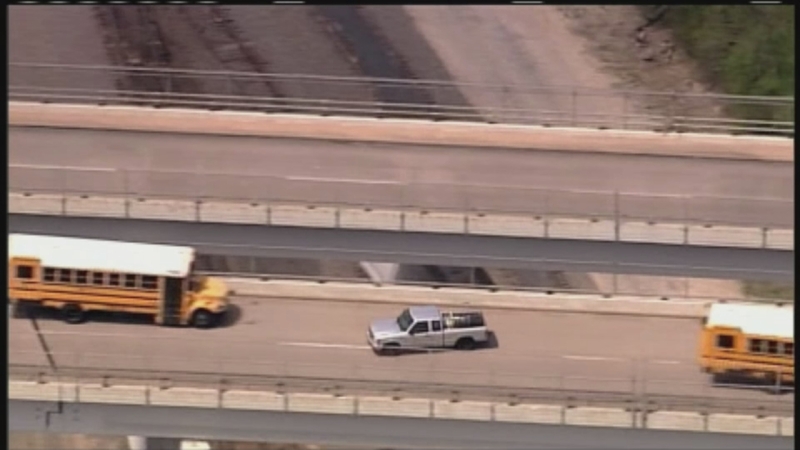 Local schools went on lockdown during to the pursuit, according to a district spokesperson. Additionally, the district ordered all school buses to halt in an effort to stay off the streets and out of the path of the pursuit. Dismissals were delayed as a result. Police chase underway in NW Harris Co.
No accidents were witnessed, but there were a number of close calls. Deputies tried a number of techniques to bring the chase to an end, including deploying spike strips, but none of those efforts worked, until Magofna finally pulled into the driveway.